Alyssa and Zack’s Bradford Farm country wedding in Columbia, MO was so much fun to photograph! This working farm is part of the MU Agriculture School. They host several weddings a year, and the setting is like walking back in time. This was a new venue for us, and we love documenting weddings in a fresh and creative way in new places! With an old ivy-covered barn on the property, this place was overflowing with charm for an outdoor summer wedding. 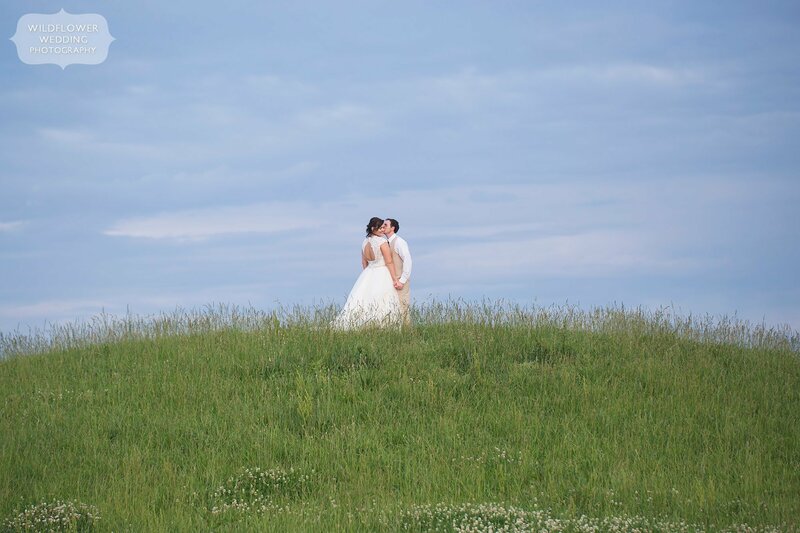 See all of our favorite photos from this Bradford Farm country wedding below! Alyssa had some great country wedding decor ideas. 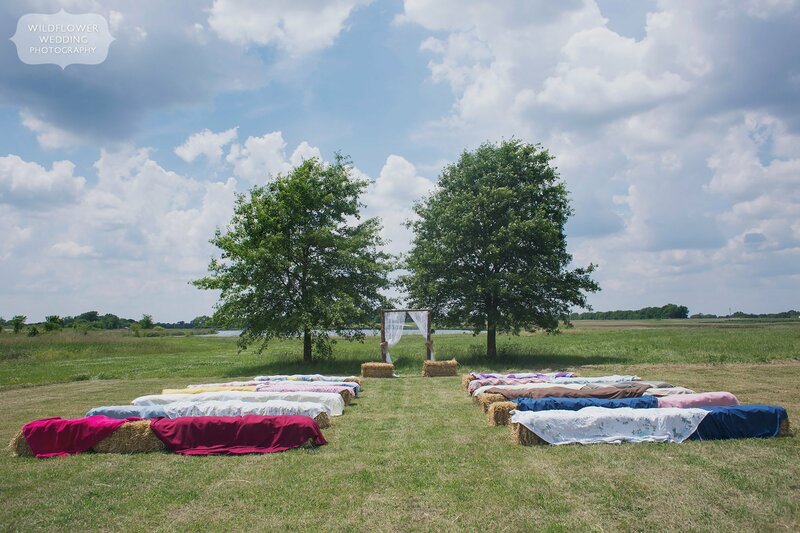 She layered colorful handmade quilts over hay bales for guests to sit on during the outdoor ceremony in the field. A rustic wooden arbor with lacy fabric made a picture perfect backdrop while Alyssa and Zack said their “I do’s”. After the ceremony, guests were invited into the modern style Poehlmann Education Center barn for the reception. One of our favorite things about this wedding was the unique choice of wooden flower bouquets that Alyssa included, made by Carolina Rosa Design on Etsy. The flowers looked so real, yet they were made of a lightweight wood! They really were works of art, and one of the most unique things we’ve seen at a wedding! Thanks to Alyssa and Zack for including us in their big day! 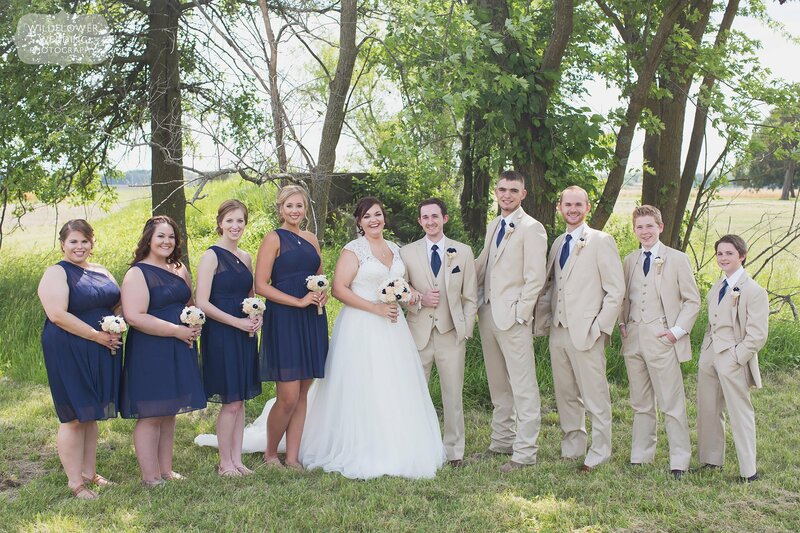 Vendors who helped make this Bradford Farm Country wedding so magical! Wooden ceremony sign – Made in the Midwest Co.